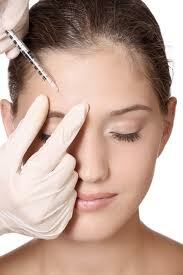 Animal studies have suggested botox injections may help fight cancer while nerves cause stomach cancer growth. Research on mice found that using the same toxins as employed in botox treatment to kill nerves could halt the growth of stomach tumours and make them more vulnerable to chemotherapy. Lead researcher Dr Timothy Wang from Columbia Medical Centre in New York said: "With everything new in cancer, even if it looks great, when you start to roll it out to patients it always seems cancer is smarter than we are. "Tumours have the ability to out-evolve any single agent, knocking one leg of a stool is probably not going to topple it. But I think this has a lot of potential and in a decade or two I can see these pathways being targeted. "In early phase, if you [disrupt the nerve] the tumour becomes much more responsive to chemotherapy, so we don't see this as a single cure, but making current and future treatments more effective." In investigating the role of the vagus nerve, which runs from the brain to the digestive system, in stomach cancer, researchers from Columbia and Norway's University of Science found that either cutting the nerve or using the toxin Botox slowed the growth of tumours or made them more responsive to chemotherapy. Trials have started in people who are having surgery to remove a stomach cancer. There has also been research suggesting nerves may have a role in prostate cancer too.